We all know the mud pit isn’t flat below the murky water. 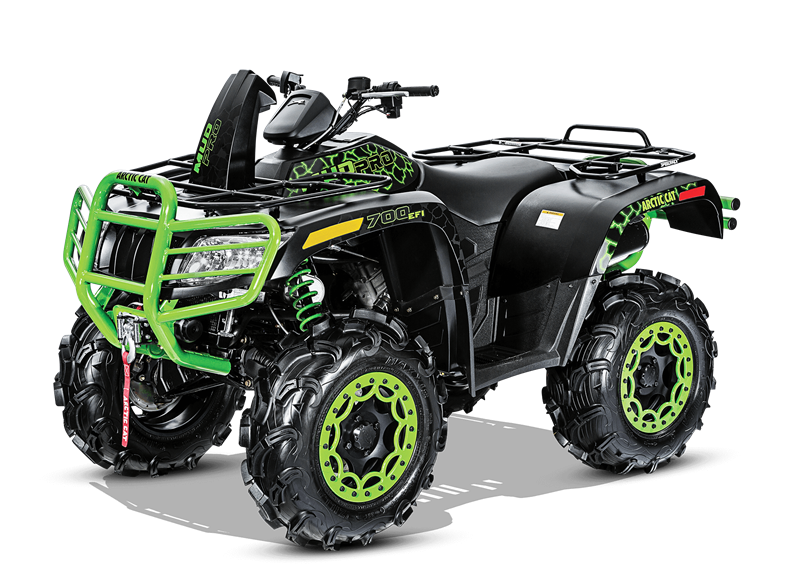 The 14 inches of ground clearance, 10 inches of suspension travel and an adjustable preload spring only make it feel that way. 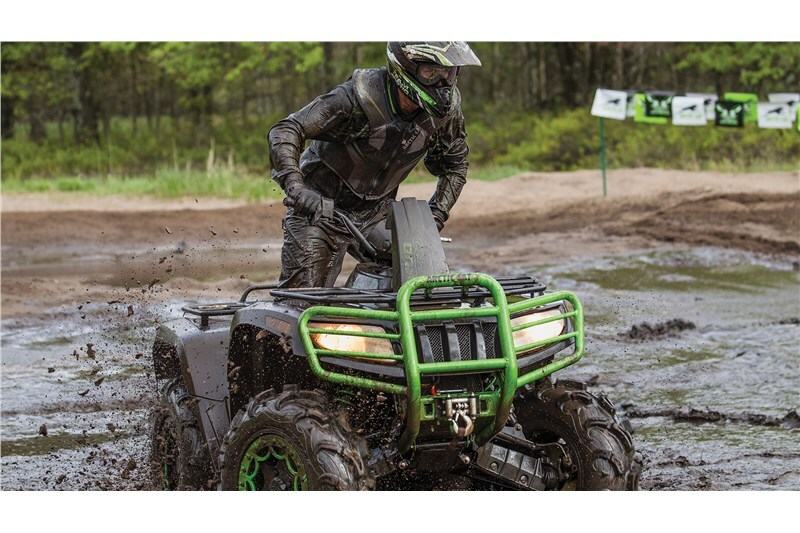 The Maxxis Zilla is known for its lightweight and mud-slinging capabilities, but these durable 6-ply rated tires also provide a smooth ride. We can’t decide if the aluminum wheels with beadlocks are fashion over function or vice versa. 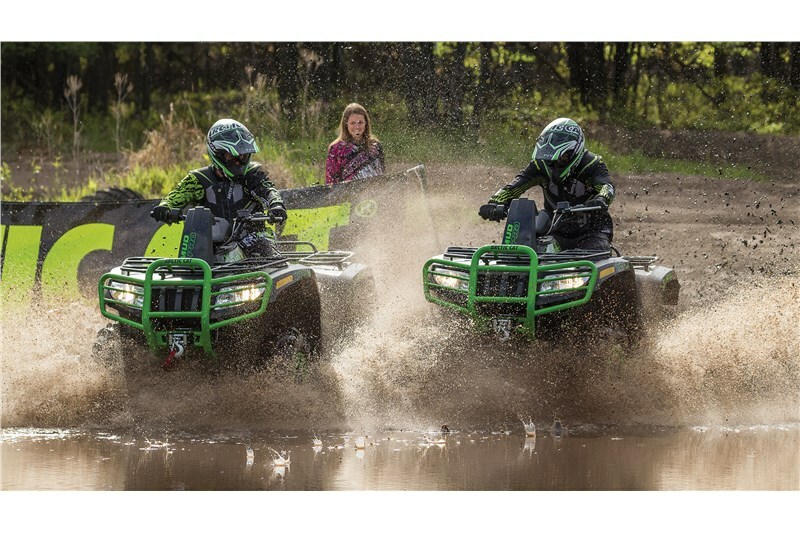 Heavy-duty, steel front and rear bumpers with dual-tube construction help protect your chassis from light impact and keep brush and debris from your grill and lights. 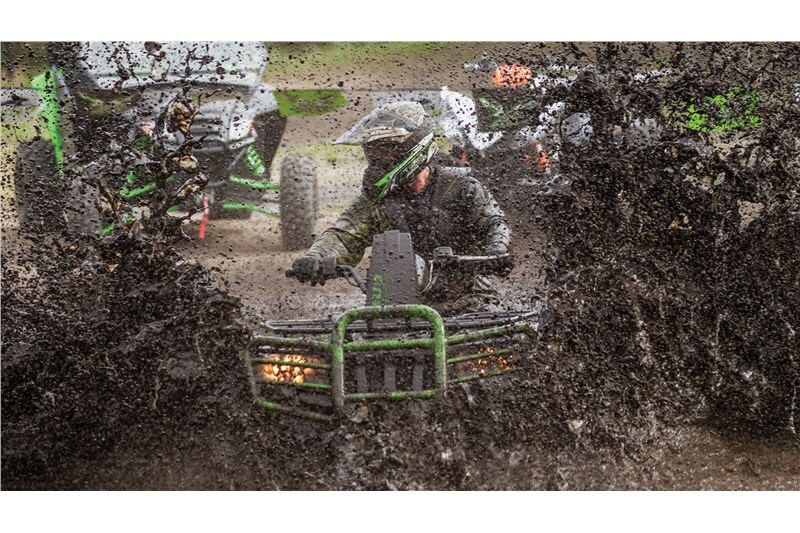 Mud pits don’t stand a chance. The elevated snorkel pumps clean air to the engine and clutch, while helping keep the CVT belt dry and cool.